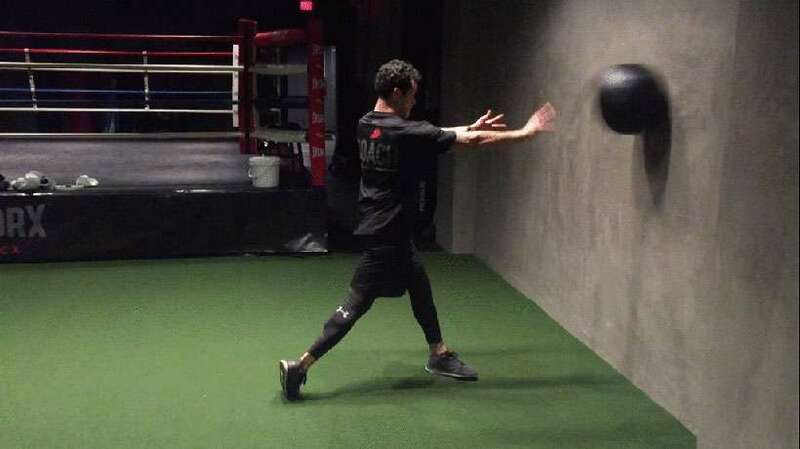 At Gloveworx, we use a lot of medicine balls in our training. They can help you develop punching power, a strong core, and powerful rotation. When a coach creates your program, they focus on these three aspects to ensure you have a great foundation on which to build your boxing skills. 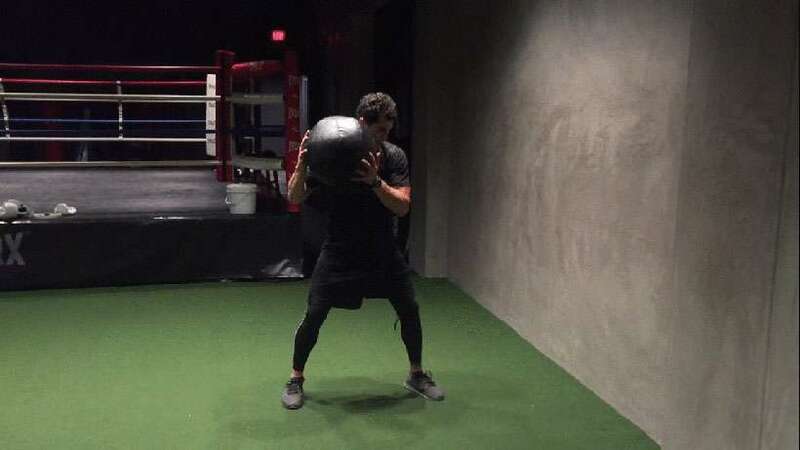 One of our favorite medicine ball training exercises, the Med-Ball Punch, is ideal for developing the power, core strength, and rotation you need to punch hard and accurately. It’s great for boxers, MMA fighters, or anybody looking to add a little rotational power to their program. Stand in a lateral stance, feet hip-width apart, perpendicular to a wall or a partner. Hold the medicine ball in front of you with your hand behind the ball. Maximally rotate and push the medicine ball explosively toward the wall or your partner. The power for the throw should start at your feet, so make sure you have a good, square base position. The initial rotating movement starts with your outer leg. Drive this leg into the floor while rotating your foot, like you’re trying to unscrew the turf under your foot. The move has greater benefits if your entire body is involved, so keep your back active and your chest up at all times. You need to reach your optimal rotation to improve rapidly. As you rotate, focus on trying to pin your back shoulder to the wall next to you. Depending on your goals, you’ll need to change how you perform this medicine ball training exercise. If you’re looking for power development, you should perform many short sets. If you’re looking for endurance, you’ll want to perform fewer, but longer, sets. As with all medicine ball training exercises, it’s best to perform the Med-Ball Punch under the supervision of a coach. We can correct your stance and push you to your limit to ensure you’re working at your max. Discuss your goals with a Gloveworx coach and try the Med-Ball Punch today!